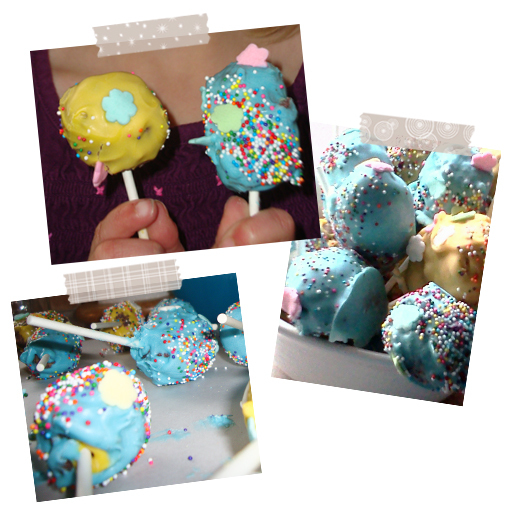 For a couple of years I have seen cake pops around the web. After seeing these last week I knew that they would be a fun project with my nieces and nephew. There were a few technical issues in the beginning, and probably should have looked for a recipe before making them, but in the end everything worked out. We had a nice time and I am told they taste like candy coated chocolate munchkins.